Valet station has hook paneling to hold up to (100) sets of keys. 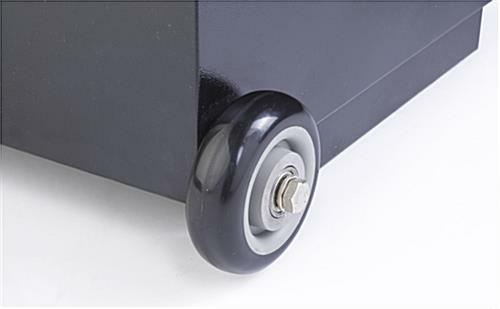 4" heavy-duty casters and integrated handle make moving valet podium simple. 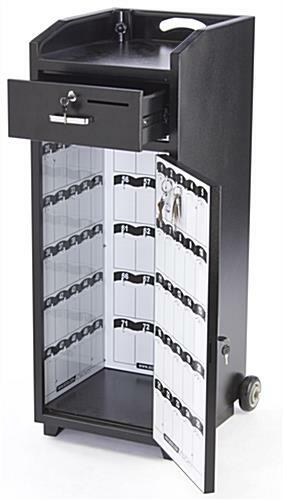 Valet stands have locking cash drawer to keep money secure. 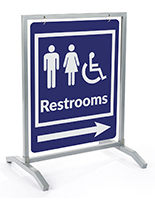 Durable steel construction of valet stand ideal for use outdoors or in heavily trafficked areas. 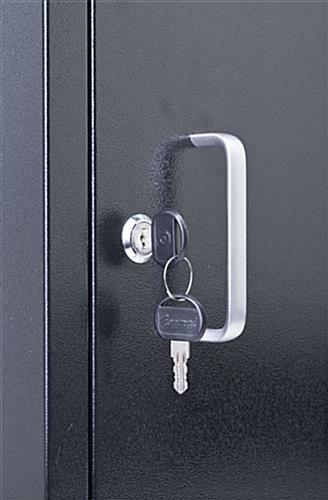 Valet Station with 100 Key Holders & Locking Door! This valet station is perfectly suited for many different businesses to place in outdoor settings to serve as a portable stand to greet guests. 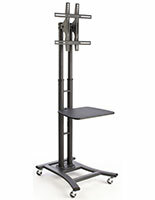 The deluxe mobile stand has 4", heavy duty casters for transporting the unit. 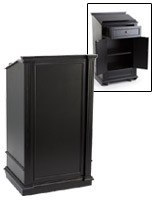 The built-in handle on the valet station makes moving the podium to and from positions simple. 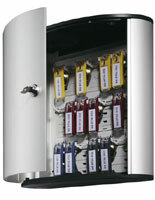 One person can easily tote this unit from location to location if necessary. 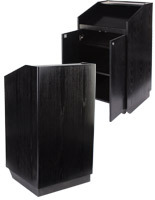 This valet station has a semi-gloss, black powder coat finish that resists scratches. 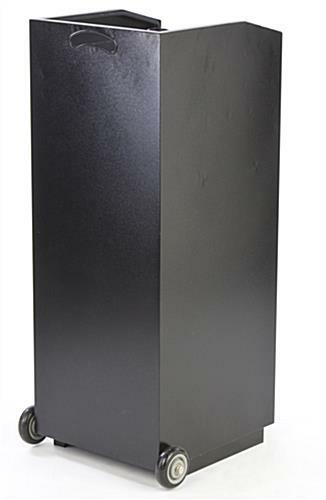 This key box podium easily fits in with any location, bringing a stylish look to the environment. The valet station has an umbrella holder in the top of the station that goes through the stand for stability. Umbrellas up to a 1-5/8" diameter may be used with this parking equipment. 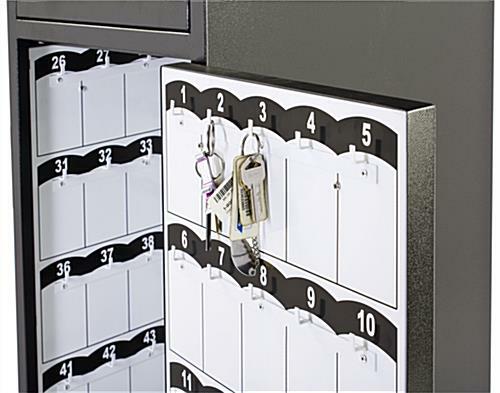 The valet station has a large interior that features marked hooks for up to (100) sets of keys. 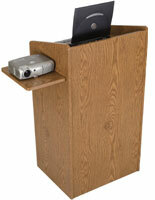 The portable podium also has a top drawer that can be used to hold tips, additional key box, and tickets. 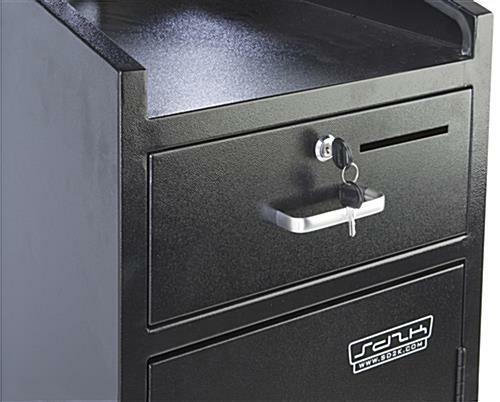 The front of the valet station drawer features a 1/4" slot for employees to easily slip tickets and tips into. 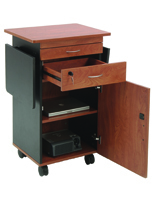 The deluxe stand has locks on both the drawer and door to the interior for security. 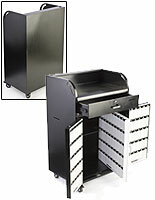 This valet station has a large countertop for placement of clipboards, paperwork and other information. 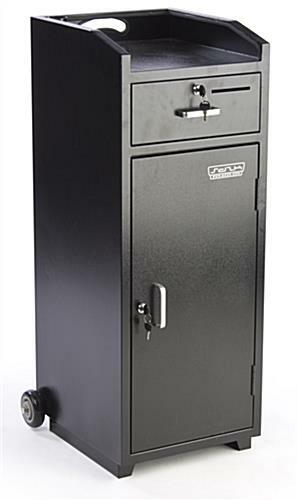 The heavy duty steel construction of the parking equipment ensures years of quality use. This valet station ships completely assembled. 15.8" x 41.5" x 17.5"